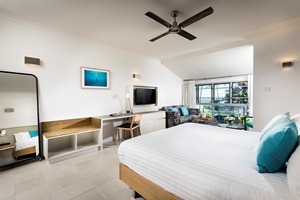 The Mangrove Resort Hotel is idyllically set amongst beautiful lush tropical gardens and picturesque palm trees, and boasts stunning views over sparkling Roebuck Bay. The Mangrove Resort Hotel is Broome’s best spot to witness the amazing tidal variations, incredible views and the “must see” Stairway-to-the-Moon. This world famous natural phenomenon that Broome is renowned for occurs for three nights every month during the dry season from March to October. The boutique Resort Hotel is situated within a short 2 minute walking distance from the centre of town and the famous Chinatown markets, restaurants, shopping centre and bars. The hotel is also located perfectly with Town Beach a mere 10 minute walk away and the Internationally renowned Cable Beach only a 5 minute drive from your hotel room. Public transport is on the footstep of the hotel, along with an airport transfers drop off service. This premier location makes the Mangrove Resort Hotel the ideal accommodation choice for couples, families and corporate travellers when visiting Broome. The Resort Hotel boasts a range of recently refurbished spacious rooms - all with private facilities including brand new 46” flat screen TV’s, air conditioning, cable TV, tea and coffee making facilities and complimentary In-House movies. The Resort Hotel also offers a wide range of guests facilities including fabulous breakfast, lunch and dinner restaurant or alfresco dining options. Also a choice of bars, 4 functions and conference rooms, tour desk, free live entertainment on select nights, complementary onsite parking, and two sparkling swimming pools which both have accompanying spas is also on offer to all resort guests. The Mangrove Hotel, Broome with a View, is the perfect holiday, business, honeymoon or wedding destination. The Mangroves range of well appointed rooms have something for everyone, ranging from Executive rooms to Premier Suites. 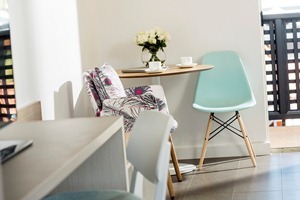 The Australian Hotel’s Association has named the Mangrove Hotel the Best Redevelopment for 2015. Come experience the new facilities and slip into ‘Broome time’ overlooking breathtaking turquoise waters and swaying palm trees. Dive into the choice of two pools, relax in cosy cabanas and soak-up the atmosphere at The Bay Club restaurant and bar. The hotel has 60 spacious rooms and suites, offering maximum comfort and convenience. From the moment of arrival, guests are transported into a vibrant modern playground, where the stylish and contemporary design sets the tone for a relaxed, fun-filled stay. The Mangrove Hotel is located on top of the hill 300 metres south of Chinatown on Carnarvon Street. 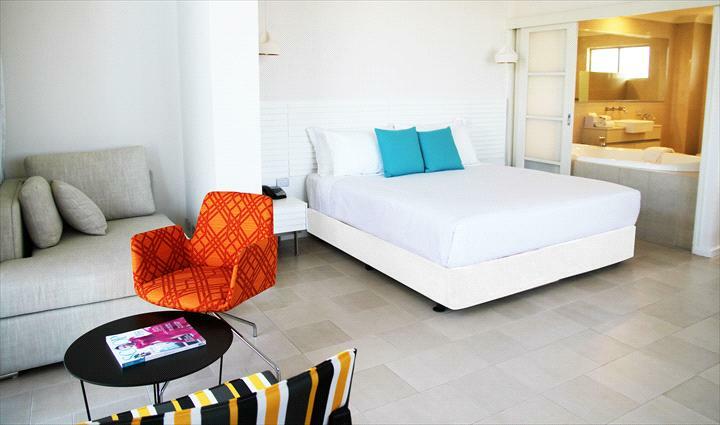 The Bayside Premier room is a great place to unwind and relax at the Mangrove Resort Hotel. Enjoy a queen size bed, ensuite, 46" flat screen tv and complimentary inhouse movies. Enjoy the luxury of an ocean view room which boasts stunning 180 degree views of Roebuck Bay, These stylish rooms are complete with a king size bed, spa bath in ensuite, 46" flat screen tv and complimentary inhouse movies. This room has the wow factor!! Come and enjoy everything Mangrove Hotel has to offer. 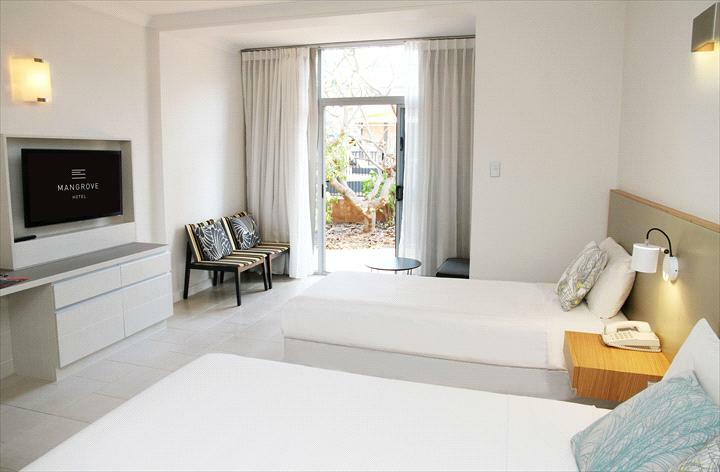 Our Brand new renovated rooms are spacious and well appointed. 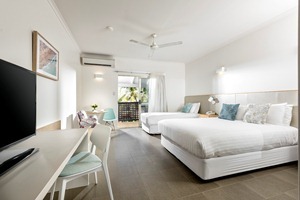 Decorated as Beach Chic, our rooms comes with in room safes, foxtel and now FREE WIFI. Enjoy Breakfast for 2 daily. One nights accommodation will be charged for all bookings cancelled or changed within 48 hours of arrival. Stairway to the Moon 3 nights each full moon March - October.